If you are facing criminal charges in the Annapolis, Baltimore, Bel Air or Towson, MD areas you know how much is at stake. Enlist the assistance of a qualified and knowledgeable criminal defense attorney at the Law Offices of John Grason Turnbull III, P.C. in Towson, Md. Without our Towson criminal defense attorneys at your side, you may be facing an overwhelming, uphill battle that places your future in jeopardy. Criminal charges require experienced and strategic defense. We are experienced with investigations, and work with experts when necessary to challenge the allegations against you. We urge you to contact our Towson criminal defense lawyers to discuss how they can protect your rights, freedom & reputation. Offering free consults and serving Anne Arundel County, Baltimore County, Harford County & Howard County, MD. It is important to get in touch with our Towson criminal defense lawyers as soon as possible after receiving a citation or an arrest. Our Towson criminal attorneys can offer you advice regarding your rights, including the right to remain silent. Remember that anything you say may be used against you, even if you make a statement in hopes of clearing yourself. Mr. Turnbull can meet with you, discuss your situation, and determine the best course of action to take to defend your rights. Our Towson,Maryland criminal defense lawyers will take the time to examine all aspects of the case throughout the course of preparing your defense. We review any constitutional violations that may have been committed by law enforcement, such as violating your rights under search and seizure laws. We will make motions to suppress any evidence gathered illegally against you. In addition to handling your initial criminal case, our Towson criminal defense attorneys can provide representation in several different post-conviction matters, such as expungement, appeals, and probation violations. Email us today to speak with our team of Towson criminal defense lawyers regarding your DUI, DWI and criminal defense charges. You can also call our office directly at 410-321-8860. We offer free consultations and can answer any questions you have before proceeding in your case. 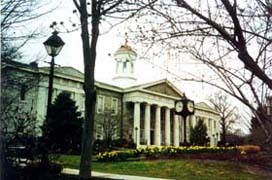 Our Towson criminal defense lawyers serve many areas of Maryland including Towson, Annapolis, Abingdon, Aberdeen, Bel Air, Carney, Catonsville, Cockeysville, Dundalk, Edgemere, Ellicott City, Essex, Glen Burnie, Havre De Grace, Luthersville, Owings Mills, Timonium, Pikesville, Randallstown, Reistertown, Odenton, Pasadena, Crownsville, Linthicum, Edgewater, Severna Park, Crofton, Jessup, Crofton, Columbia, Joppatowne, Edgewood, Fallston, Churchville, Columbia, Scaggsville, Fulton, Elkridge, NorthLaurel, White Marsh, Baltimore, North East, Chesapeake City and Elkton, Maryland.